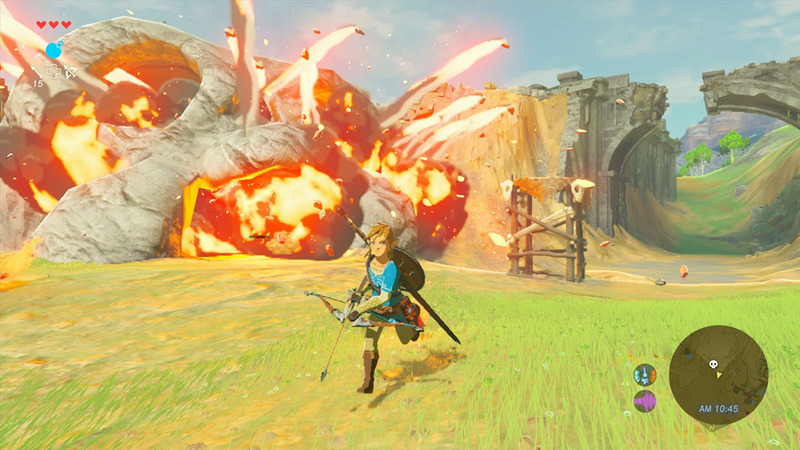 Turns out you'll get better performance out of the new Zelda if you're playing it on the tablet. With the long-awaited arrival of the NIntendo Switch finally upon us, people are no doubt going to be spending the vast majority of their weekend getting lost in the open world of its flagship title, Breath of the Wild. With such an enormous and gorgeous game headlining the system, people are understandably curious about the performance. Well, it would seem that your mileage is going to vary depending on what mode you choose to play it in. People are reporting consistently that Breath of the Wild simply runs better on the Switch when playing it in portable mode versus docked. While playing in docked mode the game runs at 900p and suffers some ocassional frame drops, even in some odd places where there isn't much action going on. In portable mode, however, it runs at 720p and rarely ever drops below 30 fps. It's worth noting as well that, graphically speaking, the two versions are near identical — resolution and framerate seem to be the only noteworthy changes. We've been able to check this out firsthand, and our sister-site Shacknews noted framerate issues in their review for Breath of the Wild. If you're a fan of the technical details, Digital Foundry have put together a video doing their best to compare the two at length. The job proves a tad difficult, as there's no good way to capture footage while in portable mode, but they came to a similar conclusion — the game flat out runs better in portable mode. Even the lower resolution isn't an issue because of the screen size of the Switch tablet. As a side note, I've personally played the opening hours on the Wii U, and while the resolution is only 720p, it seems to run similarly for me to what they were seeing with the Switch in docked mode, framerate-wise.